Laurana was Dalmatian by birth (at La Vrana, near Zadar) but Venetian by nationality although he worked much in Sicily and France. 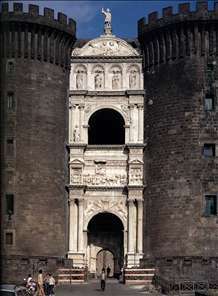 He is first recorded as working on the Triumphal Arch in Naples (1453-58), but it is difficult to know what he did. 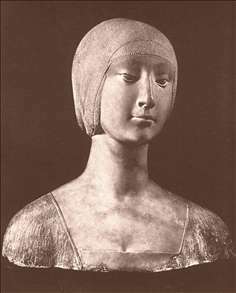 He was in France 1461-66 and in Palermo in 1467, returning to France in 1477 for six years. He must have gone back to France since he died there in 1502. 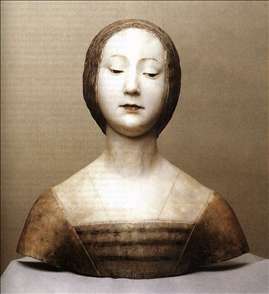 He is best known as a sculptor of a series of bust of enigmatic-looking women, now in several French provincial museums as well as in Berlin, Paris, Vienna and Washington. 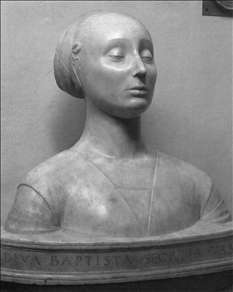 They include Battista Sforza, Duchess of Urbino (d. 1472, Bargello, Florence), probably made from a death-mask. 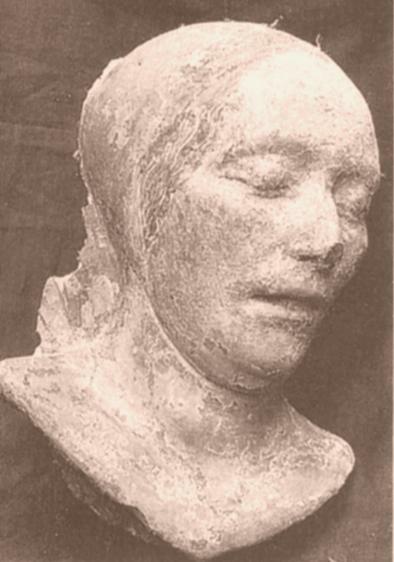 During his last years in France he made tombs in Tarascon and Le Mans. 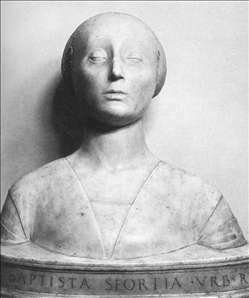 It has been suggested that he went back to Naples c. 1483/98 and there made a further series of busts, stylistically very different from the earlier ones. 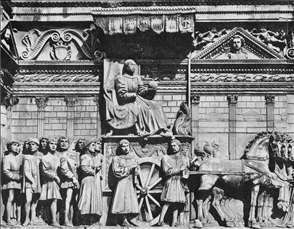 See more details about "Triumphal Arch of Alfonso I"
See more details about "Isabella of Aragonia"
See more details about "Alfonso of Aragon in Triumph with his Court "
See more details about "Battista Sforza"
See more details about "Death-mask of a Woman (Battista Sforza?)" 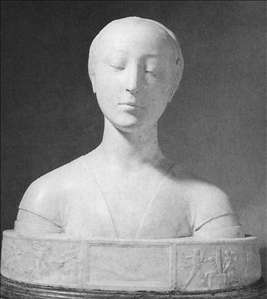 See more details about "Bust of a Lady"